Every meeting begins with a ‘Discovery’ session in the showroom of our main office location, which allows potential customers to inspect wood species, finishes, and hardware solutions with our design staff. We’ll assign a single, constant point of contact for each project in order to eliminate bottlenecks and miscommunication. It’s this “hands on” experience which has helped us develop a reputation for outstanding customer service. Want to learn how we can help you design your perfect space? Contact our sales team today. By working face-to-face with our clients our design team can walk them through the variety of customization options before the project begins. After performing on-site measurements we’ll use the latest in 3D kitchen design software to offer a streamlined and comprehensive design process which flows easily from start to finish. During this stage we’ll design and provide any necessary documents including drawings, renders, plans, and elevations which may be relevant to your project. After working one on one with our clients to design their project, the next part of the journey is the quoting stage. For us, this part of the process is very important, as we take pride in being transparent and open with our customers on the quote we provide them with for their project. We source only the highest quality materials & hardware and make an additional effort with providing highly detailed drawings to help the customer understand exactly what their project is all about. As such we feel that our quotes & drawings should not been seen as an off the shelf product, but instead are just as high quality and custom as the product we hope to build and because of this there is more time involved in making sure every single detail has been covered and taken care of. We employ state-of-the-art custom cabinet manufacturing equipment which allows us to deliver high-quality products which not only look great, but are also built to last. We employ strict standards, which means we strive to find and use the best materials available and use CNC equipment through each stage of the manufacturing process to ensure quality and consistency. 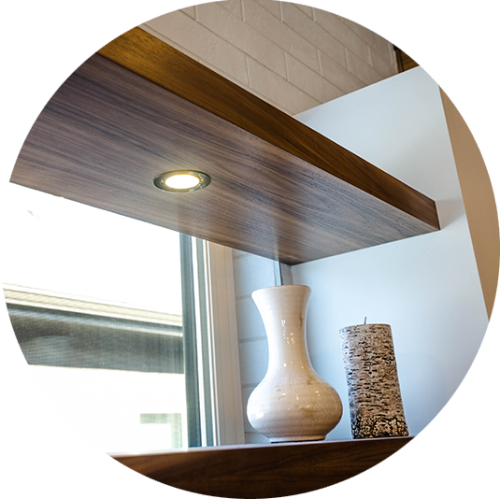 This attention to detail ensures that our clients feel comfortable and confident that they are receiving the best quality cabinets on the market. We pride ourselves on going above and beyond to ensure customer satisfaction from start to finish, which is why we offer after-install customer service to ensure that no problems or issues are present before a project is complete. Our trained installers have years of hands-on experience, and will install each project exactly according to your specifications. Our customers enjoy personalized, 1-1 contact with everyone involved with designing and manufacturing their pieces in order to ensure complete satisfaction and perfect end result. Don’t try to DIY your installations. 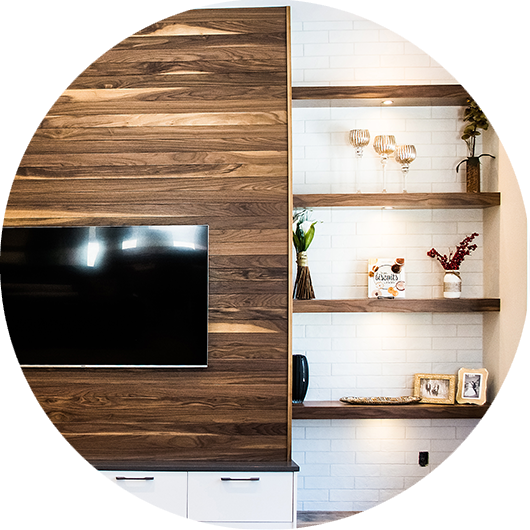 Let our experienced installers handle installing your new cabinets and millwork with the care and attention to detail of a true professional.